Peugeot 3008 Performance, Engine, Ride, Handling | What Car? If you prefer a petrol engine to a diesel, take a look at the 128bhp 1.2-litre (badged PureTech 130). You might think such a small engine would struggle to pull the 3008, but it’s actually surprisingly peppy and eager to rev. If you’re after more poke there’s a more powerful 179bhp 1.6-litre petrol PureTech 180. It’s rather pricey, but performance is strong although you do need to work it harder than larger, similarly powerful engines in rivals such as the Skoda Karoq. 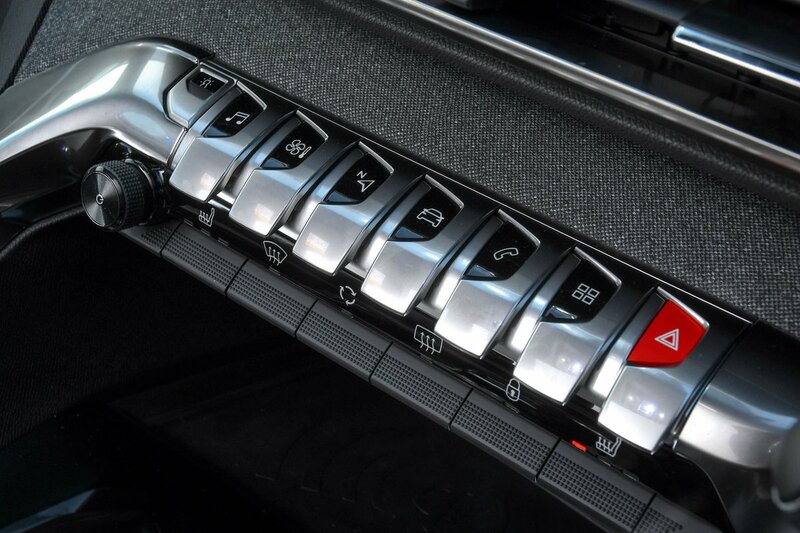 The PureTech 130 is available with the choice of a six-speed manual or an automatic gearbox, whereas PureTech 180 is available as an automatic only. Two diesels are available. The 1.5-litre BlueHDi comes with 129bhp and a choice of manual or automatic gearboxes. It’s a flexible engine that might not be particularly fast, but it does offer strong real-world pace and will pull the car effortlessly even when fully loaded. There’s also a 2.0-litre diesel (badged BlueHDi 180). With 178bhp, it’s strong and has decent economy. It’s refined, too, but very expensive compared to the rest of the range. There’s only one suspension set-up on the 3008, and on the whole it’s pretty good. Its ride is not quite as soft as a Nissan Qashqai’s, but it does take the edge off ridges and expansion joints that the firmer-riding Seat Ateca tends to thud over. Strike a particularly vicious pothole, though, and it’ll still give you a hefty jolt. Because of this softness the body moves around a fair bit over undulating roads, and the consistent bobbing can jostle you and your passengers around. However, it’s something you’ll be aware of, rather than annoyed by. Against convention, adding bigger 19in wheels doesn’t ruin the ride, but the Grip Control package does have an impact. 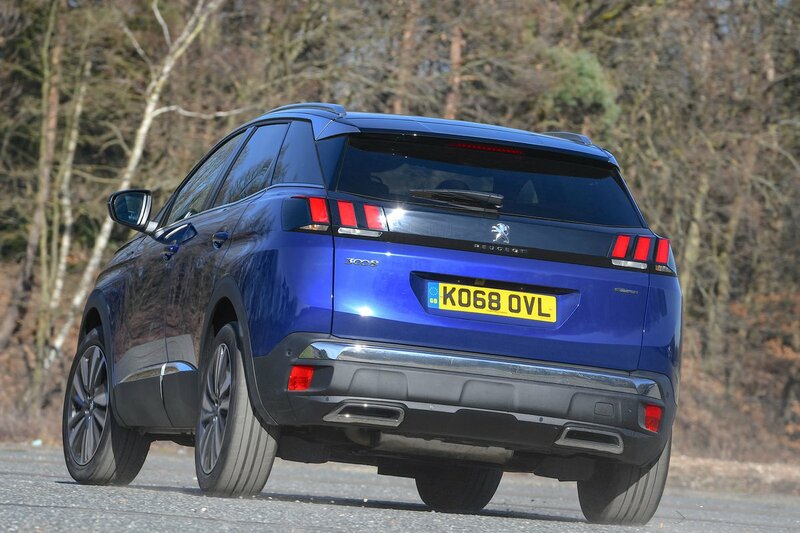 This comes with stiffer all-weather tyres that make the 3008’s ride more restless. 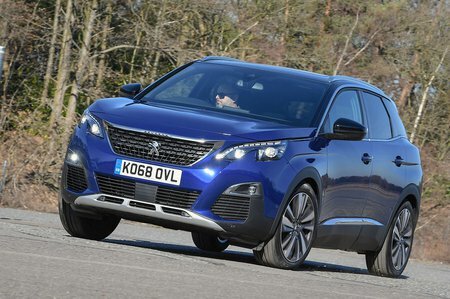 'Perfectly adequate but not exceptional' is a good summation of the 3008’s handling prowess. On the motorway the steering is a little vague around the straight-ahead, and the small steering wheel adds some initial nervousness to the car’s response, which takes some getting used to. Otherwise, it offers reasonable steering weight, giving the driver confidence as you sweep the car through turns. Despite the 3008’s soft suspension set-up, the body stays quite level in bends. However, the front end does tend to pitch down under braking, while the rear end can float a little after encountering crests in the road. In the main, it’s secure, grips well, and stays light and manageable around town but, if driving pleasure is top of your list, you should definitely try the Seat Ateca before buying. On reaching motorway speeds, you’ll notice some wind noise emanating from the door mirrors, and the tyres can add to the decibel levels over coarse surfaces, too. Neither of these flaws is exactly overbearing, although the Qashqai is a noticeably quieter car. The 1.2-litre petrol is very smooth, and the 1.5-litre diesel isn’t far behind, either. While the 2.0-litre diesels aren’t unpleasant, they are the gruffest engines in the range. What’s perhaps more irksome is how the controls feel. The brakes feel grabby in stop-start traffic and the clutch action is springier than is ideal. The gearlever has quite a long throw, too, and doesn’t snick through its gate with any great precision. Still the diesel somehow has a better shift action than the petrol and the automatic gearbox – while occasionally clunky when pulling away – is smooth on the move.